Kitchen counters are an essential addition to all cooking spaces. Often seen as a perfunctory must-have, countertops and benches offer more than practical applications. They are also essential to the overall design and aesthetic within your kitchen. Today we're going to take a look at some different kitchen bench spaces. From country-style spaces to expansive modern worktops, we've got something to suit a range of different homes. 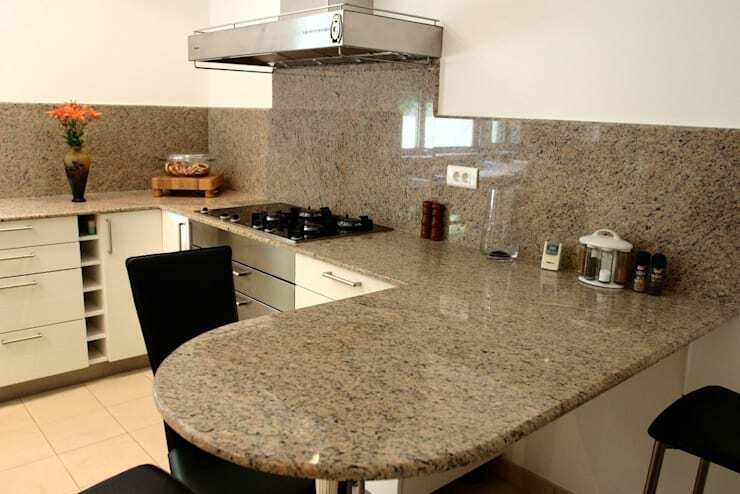 The best thing about stone countertops is the way they can be cut and arranged to suit a wide variety of needs. In this cook space, the designers have carved the stone in an oval shape to form a comfy eating and socialising space. This kitchen island is a real scene-stealer! Set in the middle of the large and open space, this wonderfully dramatic dark stone countertop offers practicality as well as longevity. This counter isn't boring either, it contains a sink and plenty of space to prepare your next meal or socialise with friends. 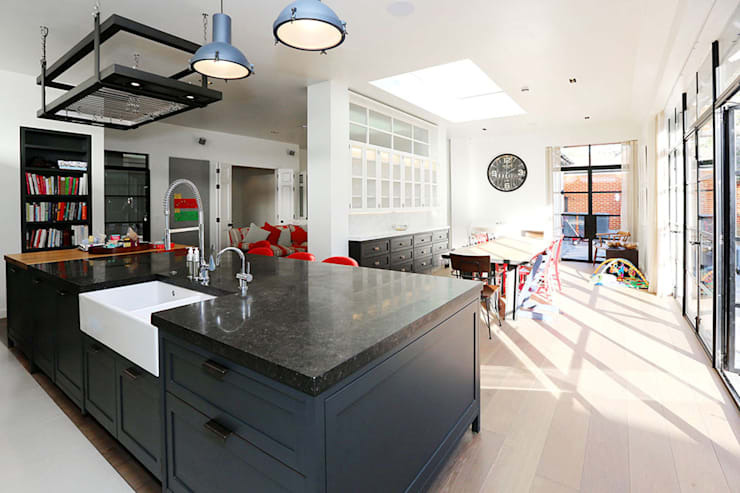 If you'd like some interior advice, why not chat to a professional kitchen designer? You can find one here! Who says countertops can't be colourful? 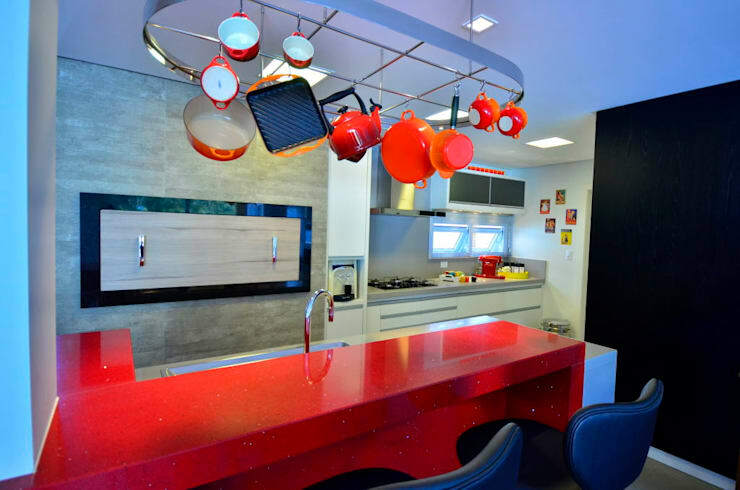 This kitchen shows that the design of your cooking space is only limited by your imagination, with a bright red composite worktop that is eye-catching and attention-grabbing. Country-style is synonymous with age-defiance and class. This graceful cooking area includes a earthy marble counter, which is bevelled to improve its appearance, as well as soften any edges. Scandinavian style employs a timeless simplicity, along with a practical aesthetic that boasts versatility and high-quality finishes. This usable space opts for timber countertops, in addition to one that extends outwards from the main island, providing an additional seating and dining area. One of my personal favourites, this sleek cooking space employs a high gloss white countertop. The glossy finish enhances the spaciousness of the room. Additionally, the white hue reflects natural light, which brightens the overall aura and ambience. 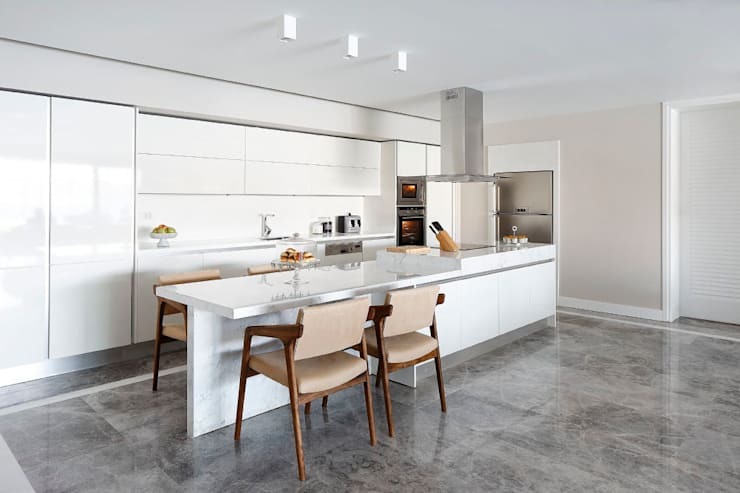 This modern worktop is formed from an earthy hue concrete composite. 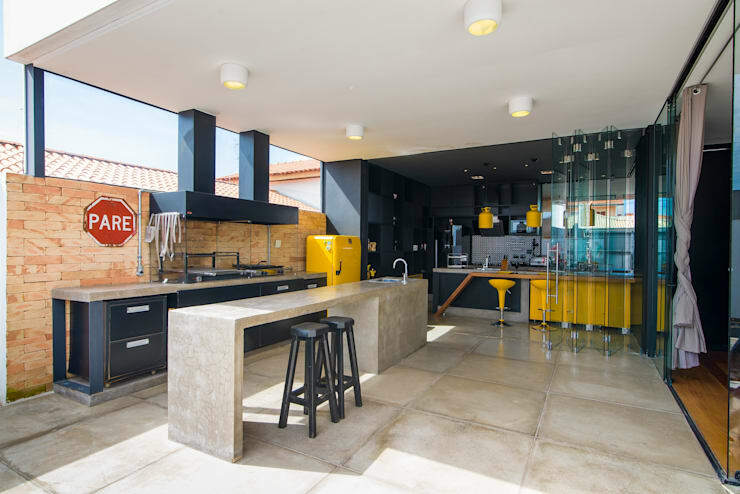 Matching the flooring and exposed brick wall, this kitchen is enhanced with bright yellow elements that brighten and boost the overall atmosphere. 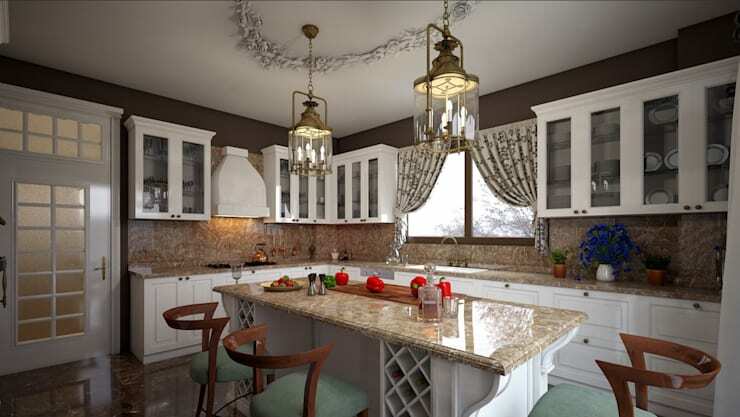 There is something effortlessly chic and timeless about opulent countertops. In this example we see a stylish marble bench, with country-style cabinets. However, it's the overhanging chandeliers that really add that final touch of extravagance.